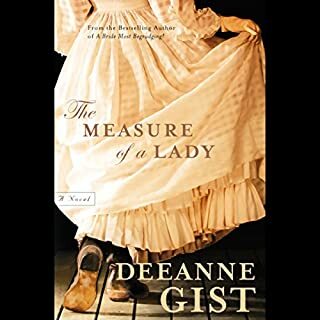 Deeanne Gist once again delivers a stellar novel full of twists, turns, quirky lovable characters and lots of heart-pumping romance. She also pours a ton of history into her books without overwhelming the reader. The "ew" factor is the birds. Lots of birds. Especially on millinery. When I was a child I read a number of books (mostly creepy ones) where bird parts were used on clothing but I'd not remembered this being a fashion in the early 20th century. She really brings to life the turn of the century west, with this small town in Texas seeming much like what one might find in rural Michigan at the time. Except for the train and robbers. And a lawman hero who takes to hiding out as a telephone line repairman. Great story arc for both hero and heroine. He's pretty much a jerk at the beginning of the story but evolves as does the heroine. I figured out who the outlaw was but the layers to the story that Gist added to the ending really made it satisfying. You know this man must be caught and brought to justice. No matter what. 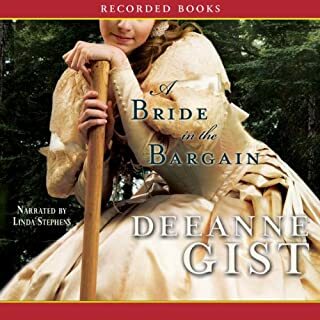 Great narrator and an all-around great story from Deeanne Gist. The spiritual arc is not there but I believe she has moved over to the ABA market now. I am halfway through the book and the entire story has been about saving birds. Georgie Gail has an unbelievable passion for beautiful birds. The style of dress at this time period was "bird parts". She starts up a one woman crusade to make others understand how much more valuable the birds are alive. Luke Palmer (an undercover Texas Marshal) had to share the telegraph office ( which doubles as Georgie's house as was typical that time period) . He is attracted to her physically and he admires her dedication to being the switchboard operator. However, he is overthrown with annoyance and confusion at times by Georgie's burning passion to save all bird kind. 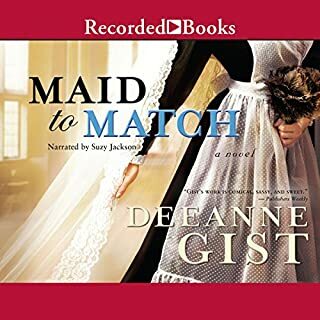 They eventually kiss and have a genuine affection for each other, but Luke is there to catch a criminal, not to get a wife...and so the drama unfolds as a side story to Georgie's crusade. Nice little story with few surprises. Narrator did well. I would recommend if you want a simple little story. I read this book a few years ago and enjoyed listening to it again. I can't say what my favorite parts are because they are all spoilers. I loved the undercover Texas Ranger and how he fell for the "Hello girl" Georgie. She is a great bird lover and a distraction for Luke. I really liked her personality. 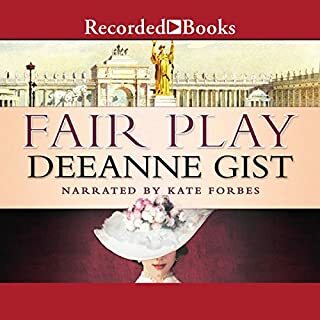 The narrator was okay. There were times that I had to pay extra attention to hear if it was a male or female character, or a child. I did get used to it though. great story, sweet read. 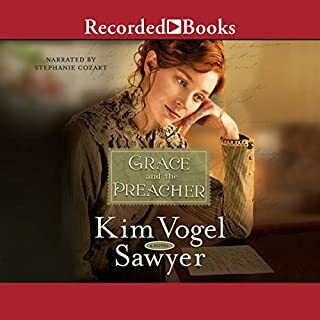 I enjoyed the characters and couldn't stop listening. great narration also. 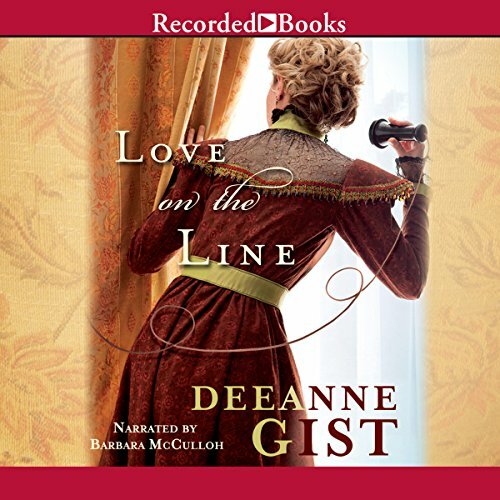 What did you love best about Love on the Line? Quizzical, enthrolling, facinating! The story keep me glued to the book as I couldn't put it down. Luke was the perfect gentleman , kind, sweet and very handsome. Barbara needs an award for her performance. Her voice distinguished every character! It was the most wonderful, loving story, I have read lately. There were times I both laughted and times I wanted to cry. This was another great book. I will certainly read it again!